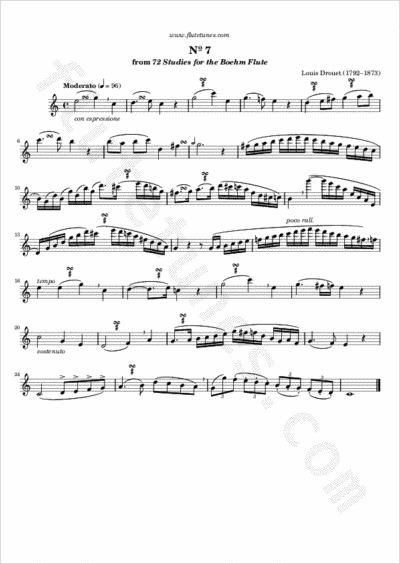 This study in C major is the seventh piece from French flutist and composer Louis Drouet's 72 Studies on Taste and Style for the Boehm Flute, published in 1855. It is mainly a study in turns (also known as gruppettos). If you're unsure about how to execute these ornaments, you can read about them in our guide to musical symbols. Listening to the audio preview of the piece is also highly recommended.